Gary Luce – Resource Concepts, Inc.
Mr. Luce has been working in the Geological Engineering field for more than twenty-five years. His experience includes mining, transportation, water treatment, water transmission, green energy and power plants. He has a great deal of experience in overseeing projects that involve geotechnical investigation, environmental permitting, and construction testing and inspection; and bringing them in under budget. He has also managed materials laboratories for over ten years and been responsible for oversight of American Association of Highway Transportation Officials (AASHTO) laboratory certifications and quality control plans. His recent mining experience includes slope stability analysis, geotechnical engineering, construction quality assurance for, and quality control of earthworks and pipelines. His mining experience also includes peer review of feasibility studies and support for several aggregate and industrial materials mines in California for SMARA compliance in support of applicants permitting process. Gary came to RCI based on the reputation that the company had in the community as being an ethical firm with dedication to client service. He enjoys whitewater rafting, skiing and music. Gary has published articles on the V&T Railway project, and on the Open Pit Design for Comstock Mining. 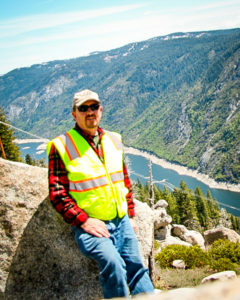 His commitment to community involves serving on the Northern Nevada Railway Foundation and being a graduate of Leadership Carson City (1998), he also serves on the National Board of Directors of the Association of Environmental and Engineering Geologist Foundation. He loves whitewater- frozen or liquid!